Visiting the Bayside center was a little bit different this past week for our class. Although we intended to participate in Zumba with the community center just as we did last quarter, we ended up at the building located in front of the Bayside center and instead participated in “My life as Twenty.” The activity allowed us to engage with the members of the community as we heard them talk about their personal lives and experiences when they were 20. From my conversations I kept observing how exciting and nostalgic it is to reflect back to a time point in your life that seems like so long ago. One of the persons I spoke with began our conversation with apologies that she wouldn’t be able to remember much from her life when she was 20, but after breaking the ice a little bit and sharing about our personal lives, she was able to describe her experiences traveling to different locations around the world with lots of details. ​I got to hear about the different experiences in traveling to Europe, Asia, and migrating into the United States. I also experienced a sense of understanding and being able to relate to one another as we both discussed the challenge with time constraint as a student. Visiting the Bayside Center was fun as we got to discuss different experiences about a person’s life at 20. Returning back to the Life Course Scholar Program after spring break, almost felt like we never left. Because we became familiar with each other as students, we were quickly able to get right into the logistics of the class and the coming events and projects that will be happening this quarter. The class of week 1, we focused mostly on coordinating and finalizing our HAP groups for this quarter. The group that I will be collaborating with is focusing on potentially using the West Senior Center as a location to provide free personal care services for the elder population. We hope to be able to provide the West Senior Center with haircuts for both males and females, make-up, and massage services. The reason we chose to focus on such an event is because we truly believe that self confidence and comfort is essential for a person of any age to be healthy. ​As we move forward into the course, I am excited to not only see how our HAP project will play out, but to also see the hard work of my peers as they also work on their HAP projects. This past Wednesday, attending class on campus gave us another opportunity to learn more about our peers through the choice of our extraordinary person. Since most of my peers chose a family member as our extraordinary person, presenting our EP allowed us to share a little bit about our family history and connections. I was able to learn about the importance behind each of our family history and what we value the most. Completing the EP project also allowed me the opportunity to reflect upon my own family history, but most importantly my father’s. ​I grew up in a close-knit family that allowed me the privilege to always ask my parents any sort of question that I had in regard to anything. But even then, I still never took the time to ask my father on the details and significance that came with him growing up. Through completing my EP project, I was able to not only ask my father specific questions behind his life, but was also able to listen to what he had to say about his family, proudest moments in life, and biggest life regrets. Through this I was able to further connect with my father and continue growing a stronger relationship with him. This past week we had the opportunity to see the Casa De Manana Prom come to life after participating in planning the event. For this event, we had the opportunity to choose the type of decorations to go with their Rock n’ Roll theme which was not too challenging especially given the group effort. Once arriving to the location and seeing the prom come to life, it was truly rewarding to see all of the Casa de Manana residents enjoy their time socializing at the event. It was fun seeing the amount of energy that was brought on by the community members as they participated in dancing and the photo booth as well. 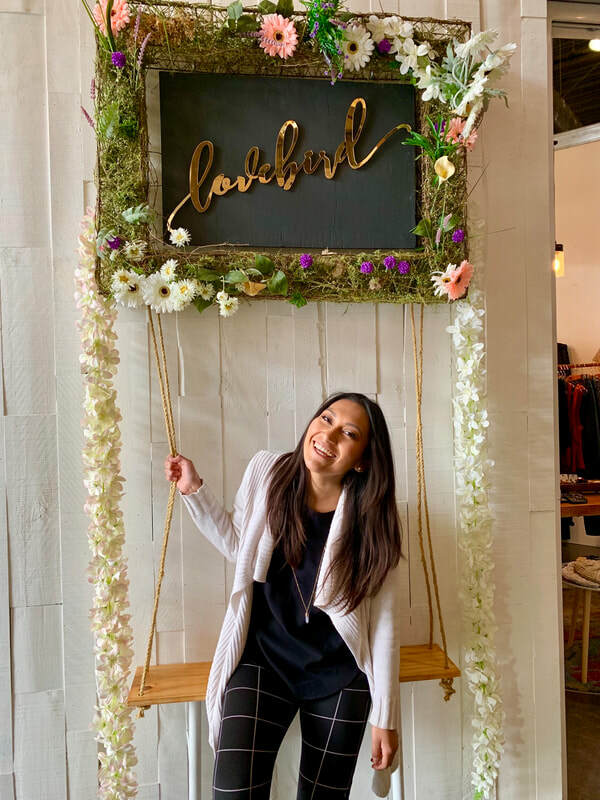 ​After talking to one of the residents, I realized how valuable the photo booth aspect was to these residents, as one of them mentioned how fun it was to take pictures to remember the event. Little aspects like a tangible instant picture for the attendees was an especially important aspect to planning the prom since we figured it would allow the Casa residents an opportunity to take pictures with each other, or of themselves. Towards the end of the night, the raffle was also proven a success since the attendees had fun winning prizes and entering themselves for the drawing. Upon arriving to Casa de Manana, I was surprised at the location and setting that followed, as I did not expect to see such an open spaced facility that resembled that of a resort. We started our experience with a tour of the facilitates that are included in the Casa de Manana homes and first stumbled across a fitness class that was taking place in one of their living rooms. As we continued to walk around the campus, I couldn’t help but notice how broad and elegant some of the amenities were. My thoughts about the setting of the Casa de Manana homes were then reinforced when we were told that the location had previously been a resort, which explained all the beautiful views that were seen from the inside. ​It was interesting to see facilities such is the Casa de Manana and compare it to other facilitates such as the Gary and Mary West Senior Wellness Center. The major difference of these facilities, other than the aesthetics, is the population of seniors that we see. I noticed that in Casa de Manana, many of the older seniors still carried high mobility with their bodies, while at the Gary and West Senior Wellness Center, the older members utilized walking tools or hearing aids. This large health difference could be understood through comparing the socioeconomic status of the members. 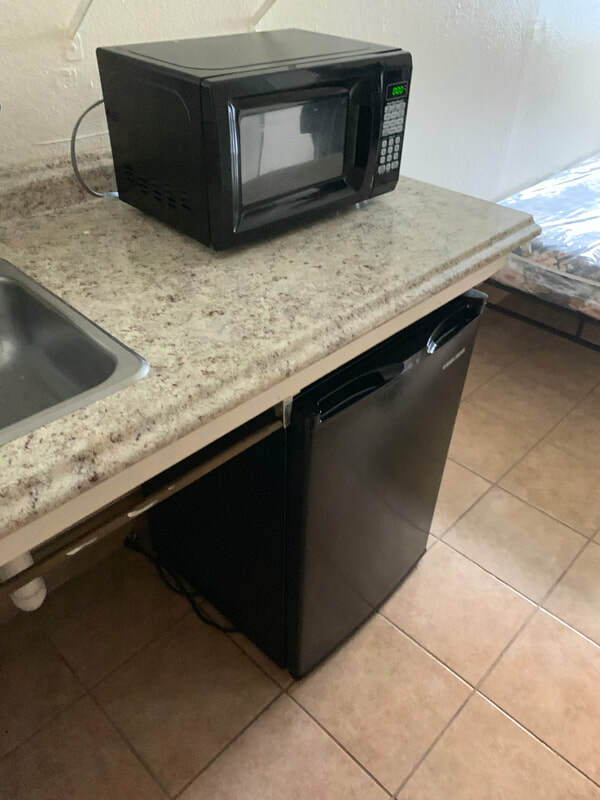 Casa de Manana host more individuals from a higher socioeconomic background, while the members of the Gary and West Senior Wellness Center live under the poverty line. This past week, visiting the Gary and Mary West Senior Wellness Center introduced me to another aspect of the San Diego Community. 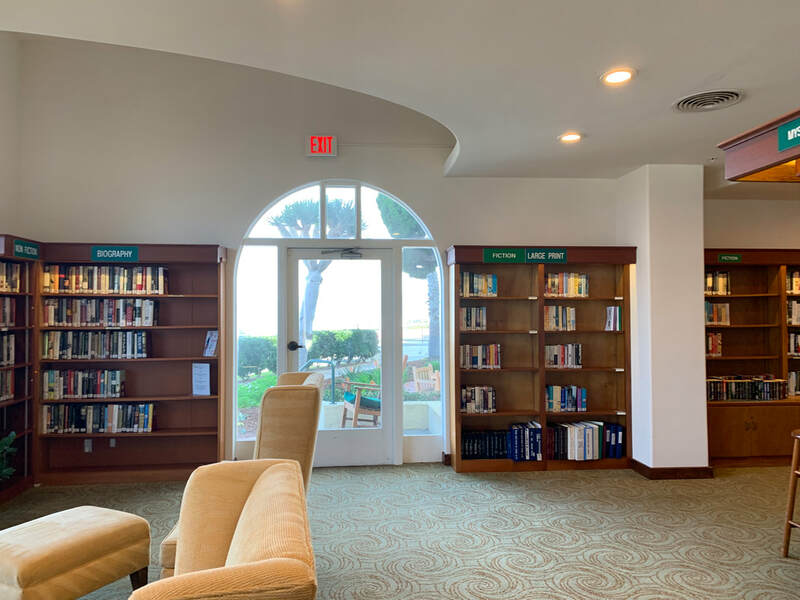 I was surprised by the interior design of the location as well as all of the amenities that the center provides for the older members of San Diego. Although the space does not look substantially spacious from the outside, it is until one walk around that we are able to see everything the Gary and Mary West Senior Wellness Center entails for their members. I was shocked all of the accessible comprehensive care that is offered in only one facility, everything from a social worker, to dental care, to the cyber café, they all provide a more holistic approach to well-being for the elder population of San Diego. 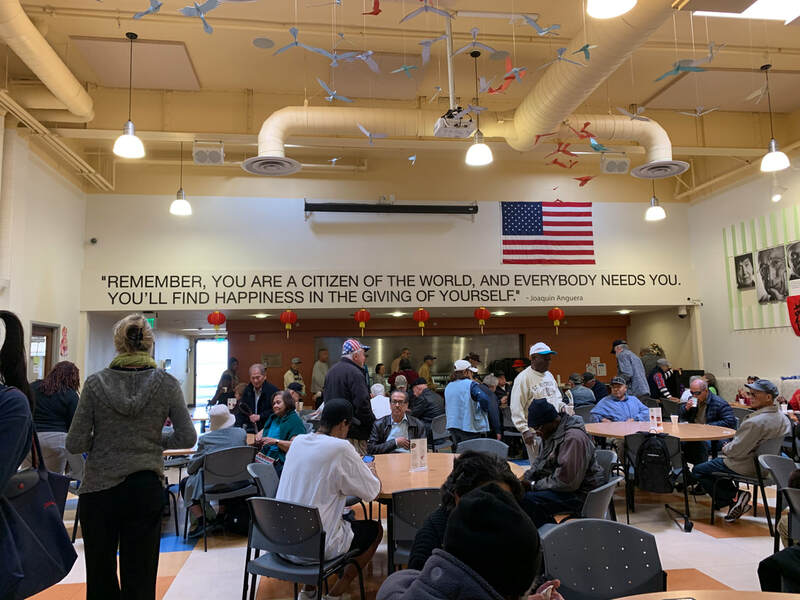 After touring the location and arriving to the community dinning location of the center, I was very stunned about the ample number of motivational quotes that were hung up around the walls. I spent a good amount of my time reading each and every one of the hung quotes, and they each related to valuing a person’s life, more particular the life of an elder person. I think this sort of décor makes the largest impact when forming the environment setting since it focuses on the community’s happiness and works towards addressing the issue in which the elder population struggles with depression. ​My experience with the Gary and Mary West Senior Wellness Center was very wholesome, and I cannot wait to revisit the site and reconnect with some of the members of the community since it was very fun to socialize with them and learn about their lives as well as share a little bit about ourselves to them. Participating in Zumba at the Bayside Community Center today was a fun experience. Upon arriving, I was surprised by the format of the community center, as I expect the community center to be a bit larger since I do not believe there are similar resources in the surrounding area. I found it really fun to participate in Zumba with the community members, since it is not every day that I find myself intermingling with a population outside of my age group. It was enlightening to see these community members fully engaging in the activity and to be so happy doing so. As we continued to dance, it seemed like the Bayside Community members had more energy than us as students and that was really fun too since they kept smiling till the end of the class. ​After finishing up with Zumba, some of the members thanked us for joining them for Zumba and I thought that was really interesting since they really had no reason to thank us, given that on the contrary we were invading their community space. But part of my reflection is realizing that the Bayside community members most likely thanked us for joining them since it not only brought a bigger class but also a new space of community to mingle with at the end of class. Attending the first class/meeting of the Life Course Scholar Program was exciting and insightful towards what we will be facing this upcoming quarter. It was truly engaging and fascinating to learn about the reasons behind why people chose their Elder Partner. I did realize that many of my peers chose their fathers as their elder partner, an although the overall idea as to why they chose them was the same, it was the smaller more personal details that they each spoke about that made it different. The biggest thing that stood out to me the most, was the relatability in which a majority of my peers felt that we only knew our fathers in “dad mode” even though we had known them for our entire life. The fact that we all felt a sense of ability to recognize and familiarize our fathers on a different perspective was quite astonishing. I cannot speak on behalf of everybody in our class, but I am excited and looking forward to our Elder Partner project as it will allow me to build a stronger relationship with my father. And after meeting everyone in the cohort this year, I am looking forward to working with people who have different backgrounds. Attending the retreat this past Saturday at the Martin in La Jolla was insightful and enjoyable. 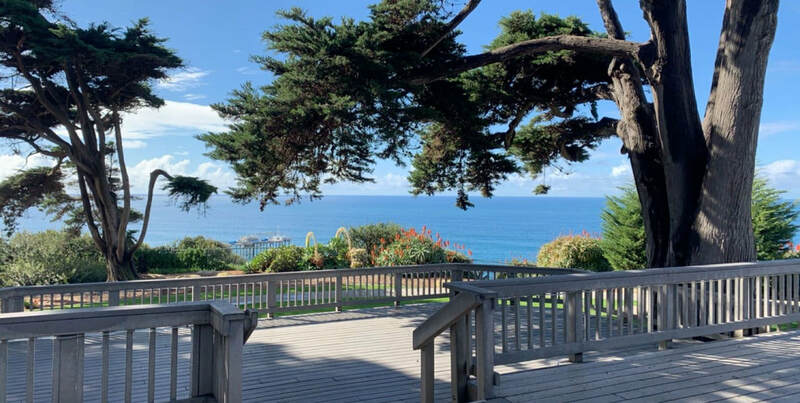 Although 9:00am was a bit early for a weekend, it was ultimately worth it, seeing how productive we were as a cohort and being greeted by the beautiful view of the ocean. One of the first activities we did in which we had to guess what we had on our back and find our partner, led us to interact with each other as some of my peers struggled to identify the word on their back. Although many of the activities we did led to a learning experience, the life board game left an imprint on my experience at the retreat. ​Playing the board game truly revealed the advantages and disadvantages that people receive base off uncontrollable aspects of their lives such as their race and/or if they came from a single mother household or not. As the game went on and each group had to pick stop or go cards, the level of disadvantages continued to rise. We noticed how many opportunities are provided for individuals who are privileged in comparison to those who are not privileged and how much is actually taken from these individuals. Another big factor from this game, was understanding how little control we as individuals have on some of our largest life barriers. Often, we tend to blame ourselves for unfortunate events, but the reality is that most of these events are actually not in our control and happen due to our predetermined status of being advantaged or disadvantaged.